Geographically a peninsula, Point Loma is a community that separates San Diego Bay from the Pacific Ocean. On the west side of the peninsula there are sandstone cliffs along the ocean, called the Sunset Cliffs. There are a few distinct neighborhoods in Point Loma. The newest commercial and retail area in Point Loma is found at Liberty Station, site of the former Naval Training Center, which also has residential and educational sections. The Midway district at the northern end of the peninsula is adjacent to the San Diego River and the I-5 and I-8 freeways. It is primarily commercial and industrial with a few small residential developments. The southern one-third of Point Loma is a separate community known as Ocean Beach. Tourists visit the cliffs in the west side of Point Loma for views of the ocean and the sunset. There are also surfing spots below the cliffs, such as Luscombs, Garbage Beach, and New Break. Point Loma has a number of hotels, restaurants, and local businesses. Courthouses positioned near the Point Loma area are those that are found in San Diego. Courts in the area consist of the San Diego Superior Court Houses located on 220 West Broadway and the San Diego Superior Court House located on 330 West Broadway. Also, the Family Law Court House on 1555 Sixth Avenue and the Madge Bradley Court House on 1409 Fourth Avenue are of use to residents of Point Loma. Doppelt and Forney, APLC, has represented clients from Point Loma in the past. Point Loma is an affluent area of San Diego and this can result in high asset cases which can present unique situations. For example, it is true that all property acquired from date of marriage to date of separation will be divided one half each. This does not mean, however, that 50% of all will be divided equally. For example, a house which was purchased during the marriage is clearly community property. If the house is to be sold or bought out by one spouse or the other, then either spouse is allowed to ask for any reimbursement credits under Family Law Code Section 2640. This requires a tracing but is worth the time, for example, if a $100,000 down payment on a house cane from an inheritance during marriage to one spouse and was not commingled or transmuted. As you can imagine, this can get very complicated and [in some cases] a forensic CPA is required. Doppelt and Forney, APLC have an experienced background in family law. We are versed in matters pertaining to both contested and uncontested divorce, legal separation, annulment, paternity matter, child support, child visitation and custody, temporary restraining orders, division of real estate, antiques, jewelry, coin collections, vehicles, trailers, cash, credit union accounts, tax refunds, deposit accounts, checking accounts, secured notes, stocks, bonds, retirement accounts, vested and non vested stock options, restricted stock units, pension accounts, profit sharing, annuities, PERS, accounts receivable, partnerships, unsecured notes, IRA, STRS, 401K, and any other assets. We also specialize in division of taxes owed, secured and unsecured loans, credit cards, student loan, and other debts. 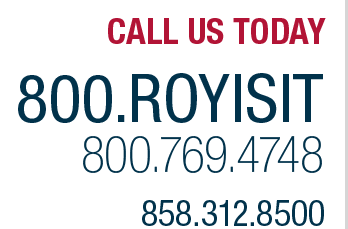 Contact us online or call today at 858-312-8500 to set up an appointment with one of our experienced attorneys. We offer a confidential and complimentary consultation and look forward to discussing your legal situation face-to-face. Located just off the I-15 in Rancho Bernardo, we are located in the Clock Tower Office Complex on Bernardo Center Drive. As members of the San Diego County Bar Association and San Diego County Better Business Bureau, we look forward to helping you attain your legal goals.